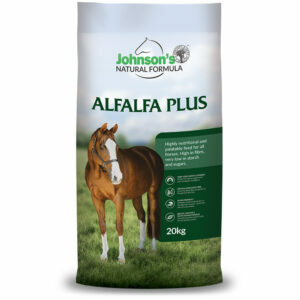 Premium, balanced feed designed to provide a high level of nutritional support to broodmares, foals, weanlings, yearlings, growing horses and breeding stallions. 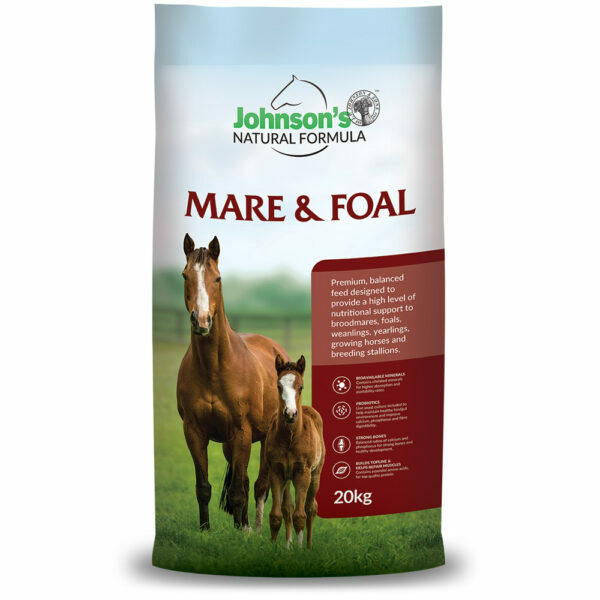 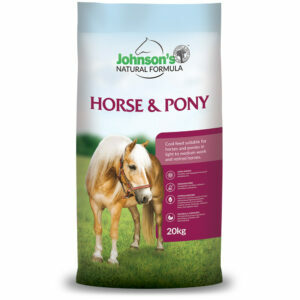 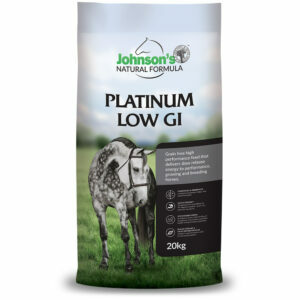 Johnson’s Mare & Foal is a premium, complete, pelleted breeding and growing feed designed specifically for Australian conditions. 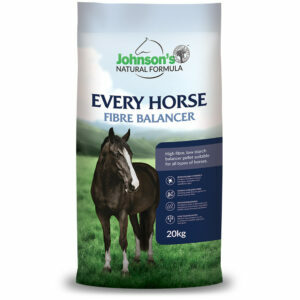 Top quality, whole ingredients combined with prebiotics and probiotics and bioavailable vitamins and minerals aid in nutrient digestion and provide the essential basis for optimum fertility. 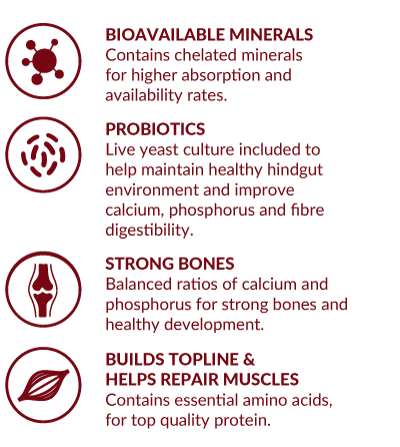 Scientifically formulated to contribute to proper bone, joint and tendon growth, nourish growing muscles, and support a developing immune system. Johnson’s Mare & Foal contains Barley, Lupins, Faba Beans, premium grade export quality Oaten Hay and Lucerne Hay, Full Fat Soybean (GMO free), Soybean Oil (GMO free) and Johnson’s Premium Vitamin and Mineral premix (including chelated minerals, prebiotics, probiotics, and mycotoxin binder), Sodium Chloride, Dicalcium Phosphate.